HALOblog - Organising help for families: GUEST POST :: "Sugar Blues" - Naturopath's advice and Special Offer! To kick us off in the blogosphere for 2014 (and to get us back on the straight and narrow! 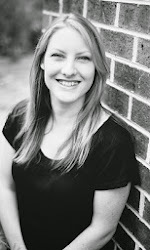 ), we have a guest post from the delightful Helen Goodwin - mum, Naturopath, and owner of Just for Today Living. I love her practical advice and super easy-to-follow tips. I'm also thrilled to be able to offer you a whopping 30% discount off her brilliant new program starting in Feb!! Read on for more details. Enjoy! When it comes to the silly season I, like many people, indulge in sugary foods that I would normally have in moderation, or not at all. And just like a good party, overindulging feels great at the time but can leave the body feeling pretty fragile once the good times stop rolling. When our bodies have been knocked out of balance from too much sugar, we may struggle to get up in the morning and stay alert during the day. A foggy head, digestive problems, headaches and mood swings may also become issues. Whilst a yearly Christmas binge may not have any long term implications, eating large amounts of sugar on a regular basis certainly will. We commonly associate too much sugar with dental cavities, diabetes and obesity, however the white stuff can also lead to poor immune function, an overgrowth of Candida and high cholesterol. The effect of sugar on children’s intellectual development is an issue that we should all take very seriously. The problem is that once you start consuming sugar, it can become ridiculously addictive and very difficult to quit. In fact, William Dufty in his book ‘Sugar Blues’ believes that the difference between sugar and narcotic addiction is largely one of degree. Another major hurdle to reducing sugar is its prevalence in so many processed foods - it’s not just cakes and sweets that contain refined sugars, large amounts can be found in everyday foods such as breakfast cereals, breads, sauces and dips. We have become so used to these high sugar flavours that we may no longer be able to taste the natural sweetness found in fruits and vegetables. In order to break the sugar cycle, setting a date and feeling mentally committed to quitting can really help. Going cold turkey is definitely a challenge but within a few days cravings can be reduced. Avoid all refined sugar found in chocolates, cakes and biscuits; artificial sweeteners (which are potent neurotoxins), and the natural sugars found in honey, maple syrup and dried fruits, until things get under control. Recognise that the human body naturally craves carbohydrate for fuel, but respond to these cravings with slow release sugars found in whole grains breads and cereals and sweet vegetables such as carrot, beetroot and sweet potato. Eat regular meals at roughly the same time everyday, making sure that you include quality protein in the form of lean meats, nuts, beans and pulses at every meal. Always have a handful of nuts at hand, almonds are perfect, for those times when you feel your energy dropping and you need a boost. Sour foods such as lemons, plain yogurt and fermented foods can curb sugar cravings quickly. Consider a chromium supplement which can help to get blood sugars into a healthy pattern. When you do re-introduce sugar, try to include natural sweeteners such as raw honey and maple syrup, as they are closer to nature and contain vitamins lacking in refined sugar. Natural sweeteners are however still simple sugars, so moderation is the key. Don't be fooled by brown or raw sugar, it's simply refined white sugar with the molasses added. If your sweet tooth has spiraled out of control lately and you’re feeling at the mercy of your cravings, give these suggestions a try and watch your energy and focus return, your waistline shrink and your mood improve. Once you’re back in balance you may find that sugary foods no longer appeal, but if you do indulge once in a while it will be from a place of pleasure rather than addiction. Helen Goodwin is an experienced Naturopath and nutrition lecturer who has taught hundreds of people about the true value of good food and health. 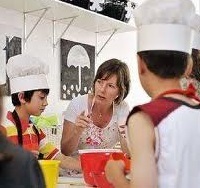 Helen has been running courses on nutrition and teaching cookery in Melbourne and the UK since 2001. She has also been a feature writer for the Australian Natural Health magazine for over three years and assisted Chef Tony Chiodo with his cookbook ‘Feel Good Food”. Visit her website and Facebook page. 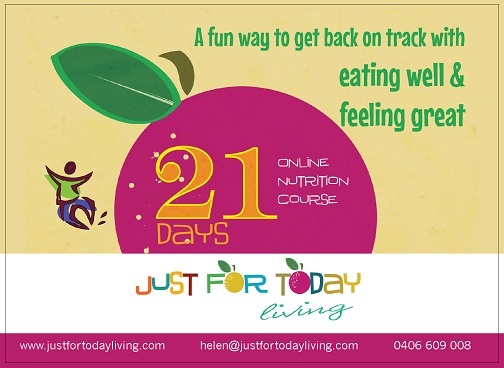 Helen is running a 4-week online nutrition course starting 3rd Feb 2014. It's the perfect way to develop your nutritional know-how and make positive and long lasting changes to the way you eat and drink. Each day you will receive a particular nutritional tip, such as “Choose small amounts of natural sweeteners” or “Include healthy fats with your food”, along with guidance and recommendations, which you follow just for that day. You will receive 21 tips in total, covering every aspect of nutrition, along with well written articles you can keep, links to videos, websites and organisations, that will literally open up a whole new world of food for you. The private Facebook group page also offers you the chance to connect with other people, so you can share tips and keep motivated. Read more about the course (as well as some rave reviews!) here. As HALOblog readers, you have the opportunity to save 30% off the February course!! Just enter the code 'HALO' when booking online.